A native of Bardstown, Matthew graduated from Bardstown High School in 1987. 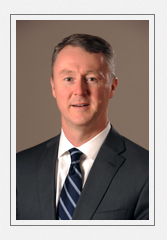 He obtained his undergraduate degree in Business Administration from the University of Louisville School of Business, and earned his Juris Doctorate from the University of Louisville School of Law in 1994. He was admitted to practice law that same year. After working as counsel for an insurance company and the Department of Insurance in Frankfort, he joined Kelley & Kelley in 1998 and has been in private practice ever since. He is admitted to practice in all State and Federal Courts in the Commonwealth of Kentucky. Janie Asher Hite has nearly 20 years of experience handling all aspects of real estate law, and focuses her practice in that area as well as in probate, business law, adoptions and most other aspects of civil practice. 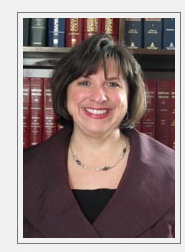 She was appointed as Assistant Nelson County Attorney in December, 2012. She obtained her undergraduate degree from the University of Kentucky and Juris Doctorate from the University of Louisville School of Law. She in her husband, Steven Hite, live in Nelson County, where she has practiced law since her admission to practice law in 1995. Kelley obtained his undergraduate degree in History and Political Science from the University of Kentucky in 2011. He then earned his Juris Doctorate from the University of Kentucky College of Law in 2014. After working as an Assistant Hardin County Attorney, as well as a solo practitioner, Kelley currently puts his criminal law experience to use while working as an Assistant Nelson County Attorney. Originally from Greensburg, Kentucky, he has recently moved to Bardstown where he practices with the Hite Law Group, as well as the Nelson County Attorney’s Office.